On a visit to their old hometown in 2004, NFW Council members Elaine Orr and Becky Albritton carried with them a suction machine that was desperately needed by the medical staff. It was immediately installed and put into use. The Medical Centre was in urgent need of replacement suction machines for their operating theater. 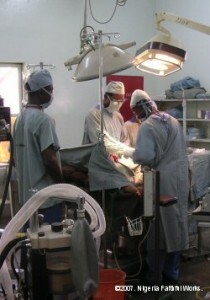 In 2007 NFW provided two more suction machines for the hospital. 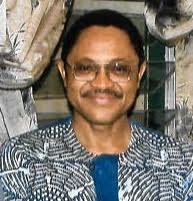 Phil Whirley handled the research and purchase in the US, and the machines were taken to Ogbomoso by David and Ellen Low when they attended the Medical Centre’s 100th anniversary celebrations in March 2007. Suction machines are among the most valuable pieces of equipment in surgery—they are used to clear a patient’s airway of secretions so the person can breathe; they can prevent pulmonary aspiration, which can lead to lung infections.